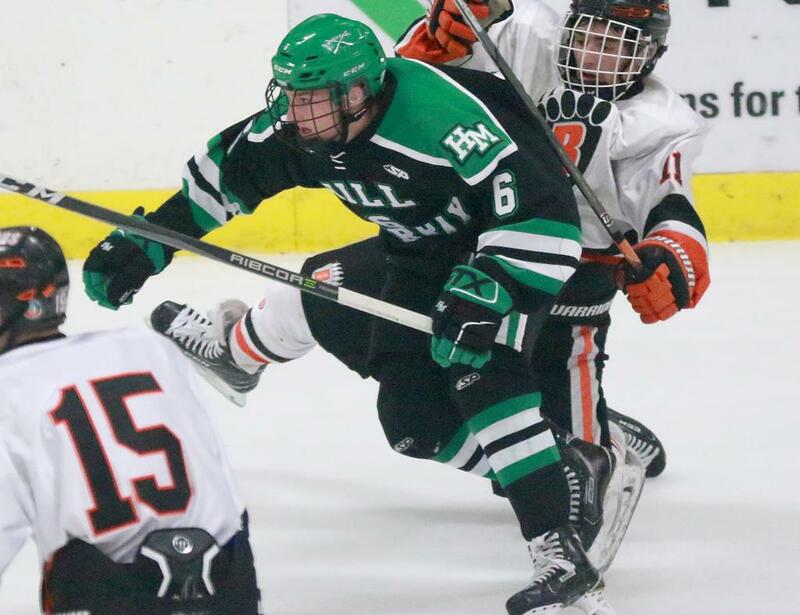 HILL-MURRAY (13-11-4) VS. MINNETONKA (No. 1, 24-2-2), 6 p.m. Scouting the Pioneers: Though an un-Hill-Murray-like 10-11-4 at the end of the regular season, the Pioneers saw reason for optimism. Coach Bill Lechner cited a 6-0 defeat of Maple Grove, followed by spirited efforts at Duluth Marshall, Elk River/Zimmerman and Moorhead. “We started battling with a young group,” he said. “We started gaining momentum and they started to believe.” A team with only three seniors logging consistent shifts got all three goals and solid goaltending from the sophomore class in the Section 4 championship game upset of White Bear Lake. The Pioneers went 0-4-1 against the tournament field, including a loss to Minnetonka. Worth knowing: These teams’ last state tournament meeting in 2010, Minnetonka beat the Pioneers 2-1 in four overtimes.